Tom and Terry Bremer have been in full time ministry since 1979. They met when they joined a music evangelism ministry based in California that had a strong emphasis in international missions work. They were married in March 1981. 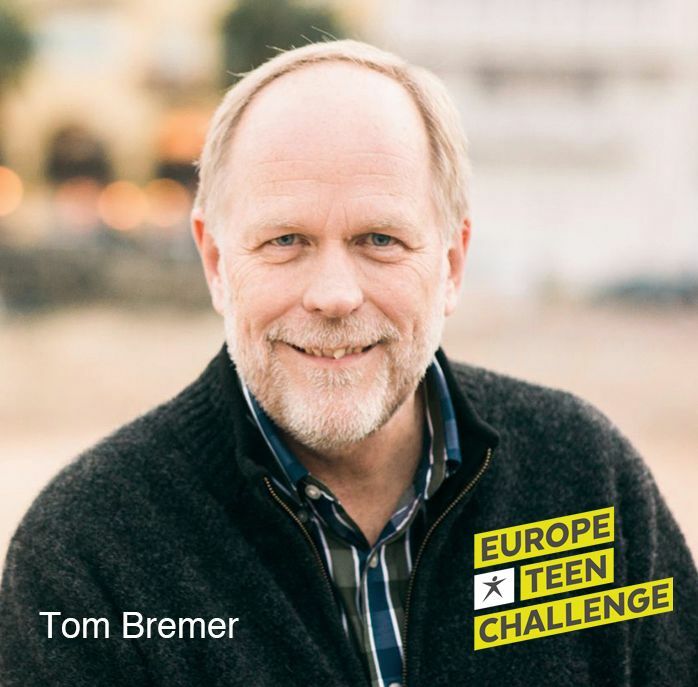 The Bremers joined the ministry of Europe Teen Challenge (ETC) in 1983 and have lived in Europe since October 1984. Tom served as coordinator of ministries in Eastern Europe and assisted with the development of Teen Challenge programs there. In May 1998, Tom was asked by the ETC Board of Directors to assume the leadership of the ministry, a position he has held since May 1999. Much of Tom's time is spent teaching and training Teen Challenge workers across the continent. He also fulfills the role of pastor and mentor to the national leaders of the Teen Challenge works in 32+ countries of Europe. Tom has a master’s degree in counseling. Elise (‘87), Erika (‘88), and Michael (‘91) are Tom and Terry’s three children. All the children were born in Germany and have a love and appreciation for life in Europe, but currently live in the US. Terry assists in the ETC office. The ETC office and the Bremers’ home are in Portugal.